Want to subscribe for news and events? How Can Bill Help You Shine? Through a brilliant blend of poignant vulnerability and side-splitting humor, Bill will open your audience’s eyes to some of humanity’s most important challenges – the beautiful mess it means to be human. He makes sensitive material accessible, opens minds and hearts, and builds bridges in the process. A no-brainer to have in your speaker line up. Bill’s stories invite audiences to view stigmatized, hard-to-approach topics like depression and mental health with lightness and hope. Bill’s TEDx talk was graduated to TED (ted.com), and now has over 1 million views. 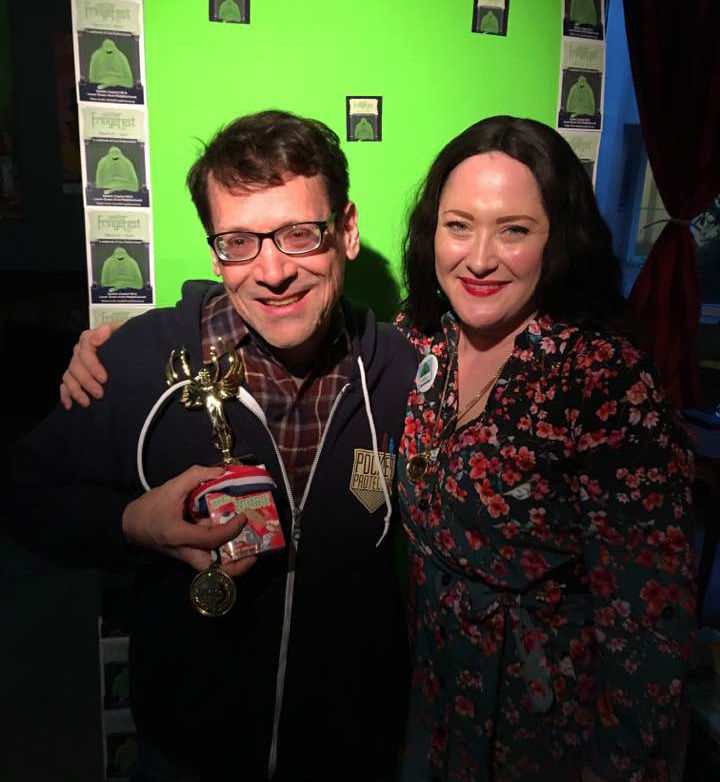 Bill’s one-man comedy show, Becoming More Less Crazy, won Best of the Seattle Fringe 2017. Bill elevates conferences and other gatherings by releasing the tension around discussing mental health and wellness. His unique voice makes the “inner life of people” feel friendly, familiar, and funny. After living in mental and emotional darkness for decades, Bill set out to learn how to enjoy life more. He succeeded in finding relief from depression, recovering from addiction, losing over 100lb and keeping it off, overcoming social anxiety, and living well with bipolar condition. Many years later, he’s still surprised🤣. As a speaker, Bill entertains with authentic stories from his harrowing, joyful odyssey. He engages audiences with practical insights from his personal transformation and toolkit. He amuses with hilarious examples of the absurd ways the human brain can work against its own goals. Bill works with event coordinators to tailor each talk to your situation, context and audience. Audiences commonly include: health care providers, mental health care consumers and friends/family, tech workers, storytelling enthusiasts, and any group fascinated by peoples’ inner lives. Bill lives and works in Seattle (director of product and content marketing, enterprise software company). Arrangements can be made for travel in the United States or internationally. Speaking fee reduced for mental health and non-profit organizations and events local to the Seattle area. To bring Bill to your next gathering, contact Stay Awesome Media and let’s discuss your needs. Bill is a trustworthy and empathetic facilitator for both new and seasoned storytellers to workshop with. He knows how to get his students to the heart of a story, and how to leave an impact on their audience. Bill makes it easy and fun for almost anyone to find a meaningful story from their life and tell it well the first time. Have you ever changed something about yourself for the better? You can have so much fun telling your story of personal transformation no matter how great or small. By telling your story to a live audience, you can inspire others to to think positively about changes they want to make in their lives. You have countless opportunities to tell your story on stage in Seattle every month! All you need is confidence and some simple storytelling savvy. That’s why Bill offers the half-day Storymorphosis workshop. In this workshop, you will learn the three things that make a personal transformation story riveting and cause it to have remarkable impact. The workshop is guided by a really handy infographic you can take home. With interactive exercises, you’ll learn how to write, edit, rehearse, and tell your story. You’ll come away ready to look and sound like an experienced storyteller your first time on stage. More importantly, you’ll have the knowledge and tools to actually get in front of people and tell it well. Living your life is the tricky part. Telling stories about it can be easy! 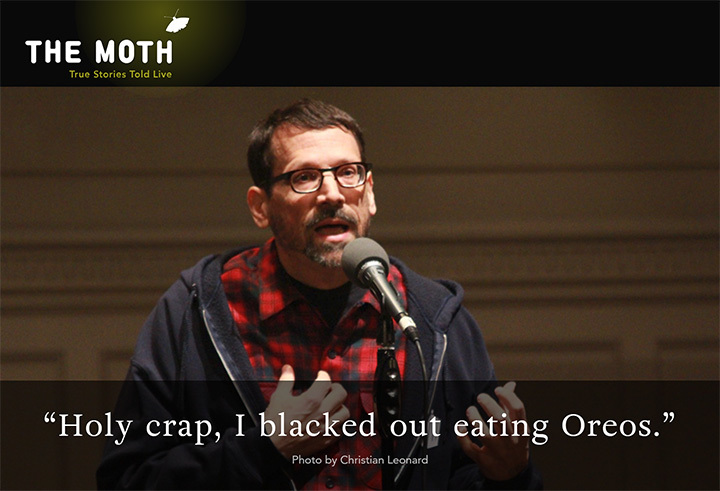 Bill’s story “Oreo Relapse: was featured on The Moth Radio Hour, syndicated on over 200 NPR stations. It was also featured separately on Seattle’s KUOW. Join my mailing list for advance notice of the next workshop! Bill helps people untangle their truth. He helps them gain the clarify and confidence to change lives with their stories. 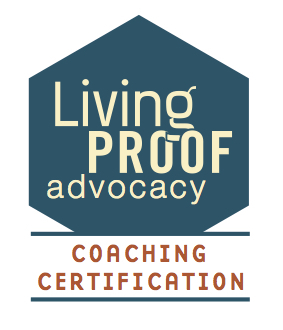 Bill was certified as Living Proof Advocacy speaking coach in October 2018. Bill can also write and edit your speech. He can create your talk from scratch based on your personality, subject matter, and objectives. He can add humor to an existing talk. Or help you revise a talk for greater impact. Coaching sessions can be done by phone, video chat, or in person. Coaching is available as packages of two, five, and ten hours. Corporate and non-profit coaching is available for small groups. Contact Stay Awesome Media to schedule a free 15 minute consultation to find out how Bill can help you nail your next talk. Bill Bernat founded Stay Awesome Media to relieve, transform, and entertain.